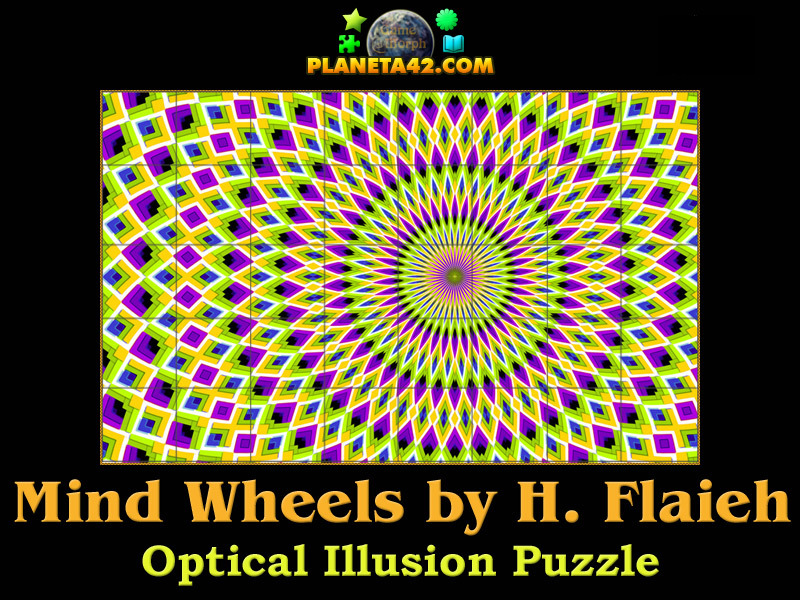 Motion optical illusion in a fun online puzzle. in the web browser. Sort the illusion picture. The Psychology Knowledge Board include 40 square pieces to rotate and finish the picture of motion illusion. It is part of the Interactive Mind Studies educational tools. How does a motion illusion image looks like? How to play Mind Wheels. Know a famous image with motion optical illusion. 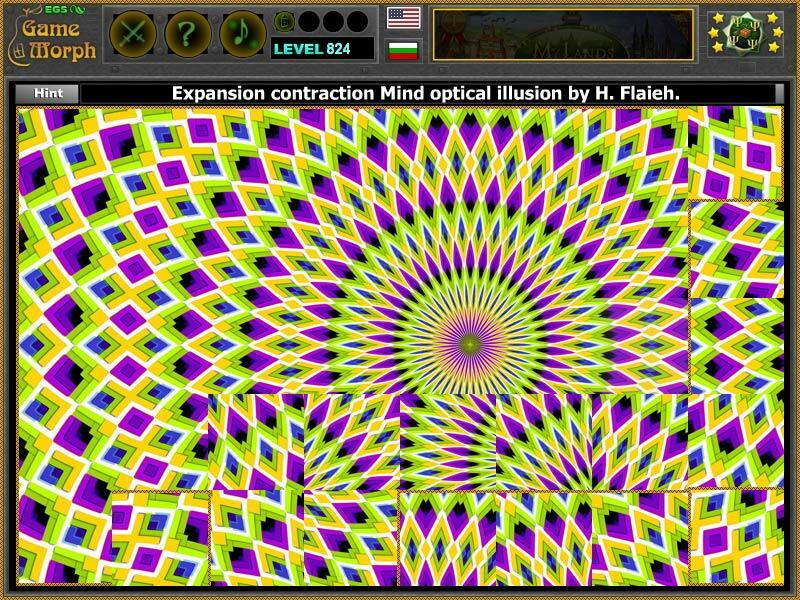 Class subject: Motion Optical Illusions. This type of optical illusion is when the image looks like it is moving or there are waves in it, when moving sight from one place to another on the picture. It is quite mind shaking. This particular image is created by H. Flaieh.